Sydney, Australia — March 25, 2019 — One hell of a superhero, Hellboy is back and he’s on fire. 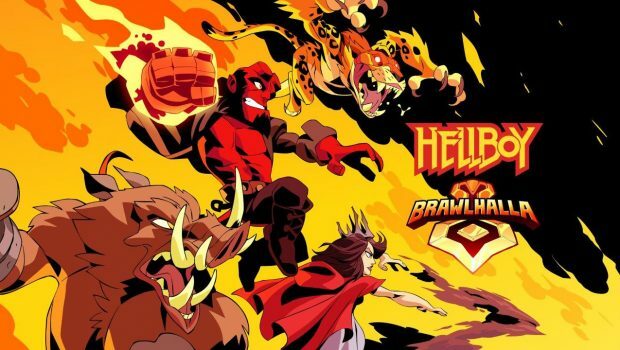 Today, in celebration of the upcoming movie, Ubisoft announced that they’ve partnered with global content leaders Lionsgate (NYSE: LGF.A, LGF.B) and Millennium Media to bring the iconic Hellboy characters Nimue, Gruagach, Ben Daimio and Hellboy himself into Brawlhalla®’s roster in April. Brawlhalla® is a free-to-play platform fighter game with more than 15 million players on PC and PlayStation®4 computer entertainment system, and is also available on the Xbox One family of devices including Xbox One X, and the Nintendo Switch™ system. From the pages of Mike Mignola’s seminal work, the action packed motion picture sees the legendary half-demon superhero called to the English countryside to battle a trio of rampaging giants. There he discovers The Blood Queen, Nimue, a resurrected ancient sorceress thirsting to avenge a past betrayal. Suddenly caught in a clash between the supernatural and the human, Hellboy is now hell-bent on stopping Nimue without triggering the end of the world. Lionsgate will release the film in theaters nationwide on April 11, in Australia.